Meditation is a most discussed topic these days. 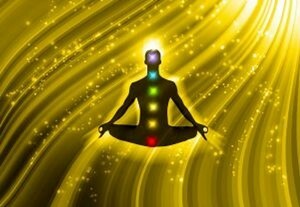 There is a whole industry which has been created around meditation involving millions of dollars. Meditation cannot be taught. It can only be experienced. Meditation happens; you cannot do it or make it happen. It is the ability to sit with the mind perfectly still. It takes years and lifetimes to achieve this state, but a beginning has to be made. The first step towards meditation is to be able to sit quietly, in a silent place and without any disturbance, music or interruption. The various techniques we hear of or which are ‘taught’ or propogated are just tools to enable us to sit quietly. The mind is easily distracted. If we cannot sit, meditation cannot happen. So these techniques are nothing but means to keep the mind involved while you sit. Some of them make use of sound, some make use of objects, some make use of our own thoughts or imagination and some make use of mental images and words. These techniques do not matter so much as the discipline to be able to sit quietly in a certain posture for fifteen minutes a day to begin with and going up to an hour. It is not just the mind; even the body has to be in a certain position. All forms of sitting will not aid meditation. In addition, the aspirant has to be on an empty stomach and ideally try to sit in meditation in the early mornings. There should be no sound, music or artificial fragrances around you. Natural sound of the wind, trees, birds are fine. Try and sit at the same time every day, seven days a week if you can. If mornings are not possible, then try meditating in the evenings. There are certain characteristics of meditative postures. They are done sitting on the floor with legs folded or cross-legged. The arms have to be kept on the legs. There is no back rest and the body has to be kept erect. The head, neck and back have to be in the same line. If you try to be forcibly erect, the body alignment may change and cause strain on the back. So the correct way is to align the neck, body and spine. Makes the body more stable and prevents it from keeling over or on the sides. This improves neuro muscular stability. Sitting like this improves subconscious control on your posture and aids posture correction. The spine remains in a vertical and straight position. A straight spine means no compression on the abdominal and chest muscles, leaving them free to breathe comfortably. This improves breathing capacity. This position therefore ensures effective and improved digestion and excretion. The natural curvature of the spine is preserved and any unnatural strain or curve in the backbone is avoided. Energy consumption is the least from all the sitting postures leading to very low cardio-respiratory activity. This means greatly reduced blood pressure, heart rate and better exchange of gases between the blood and lungs. Since the legs are locked at the knee level, the blood circulation in the legs become minimal and so is the need to pump blood against gravity due to the horizontal position of the legs. This reduces load on the heart and has a beneficial effect on blood pressure. The blood flow is thus directed to the sacral, lumbar and pelvic regions refreshing and toning up these regions which also contain a significant amount of nerves. The nerves are toned and refreshed thus inducing peace and pleasantness. When the knee is folded, there is a static stretch and reduction of blood supply. When you open out the knees, there is a rush of fresh blood supply improving the health of the legs and knees. A regular practitioner of Padmasana or Sukhasana will not experience pain or deformity in the knee joints or get arthritis. The perineum region is also massaged and stretched gently in this pose, improving its functioning. Thus sexual and reproductive functions also improve. With so many benefits of meditative postures, one should start trying to ‘sit’ in meditation not just for the mind but also for the health of the body. Look for an appropriate program to suit your needs from a range of our online yoga classes.